Design for Nodeul Island Arts and Performance Centre was an international open competition. The submission requirements included plans for coping with flood risk and maintaining biological diversity. In Seoul, in March and April, there is a period called Asian Dust. To deal with these, the buildings were tested if both their juxtaposition and sections were effective to steer the wind so that the dust is disposed of. The landscape elements were also designed for dealing with dust; the water bodies act as bioswale systems, filtering the water before releasing it into the river. Additionally, the summer period has monsoons and typhoons, therefore an even distribution of water was critical. Water collection systems were incorporated in the organic roof forms. Collected water was treated through heat pumps going down the river, and used as conditioning fluid. 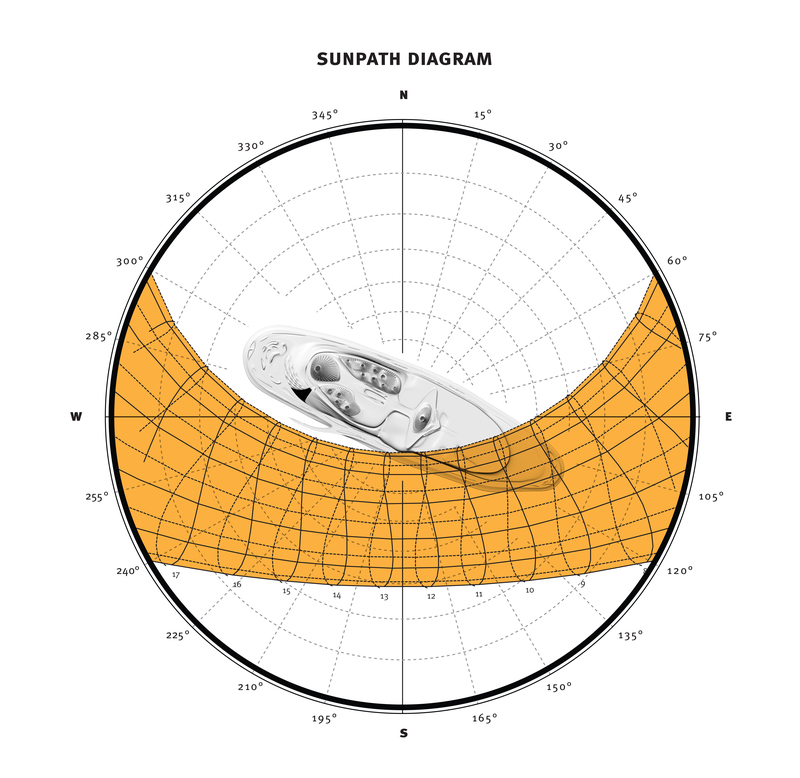 Sunpath diagram and monthly diurnal temperature swings. 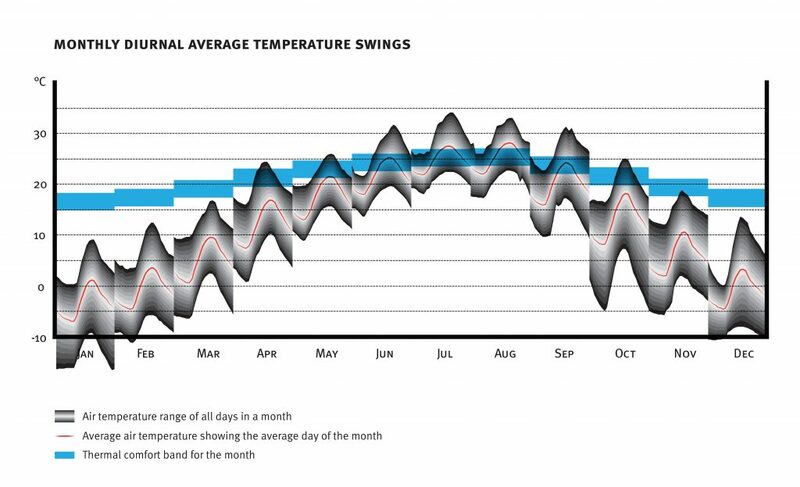 Psychrometric charts for summer and winter months. 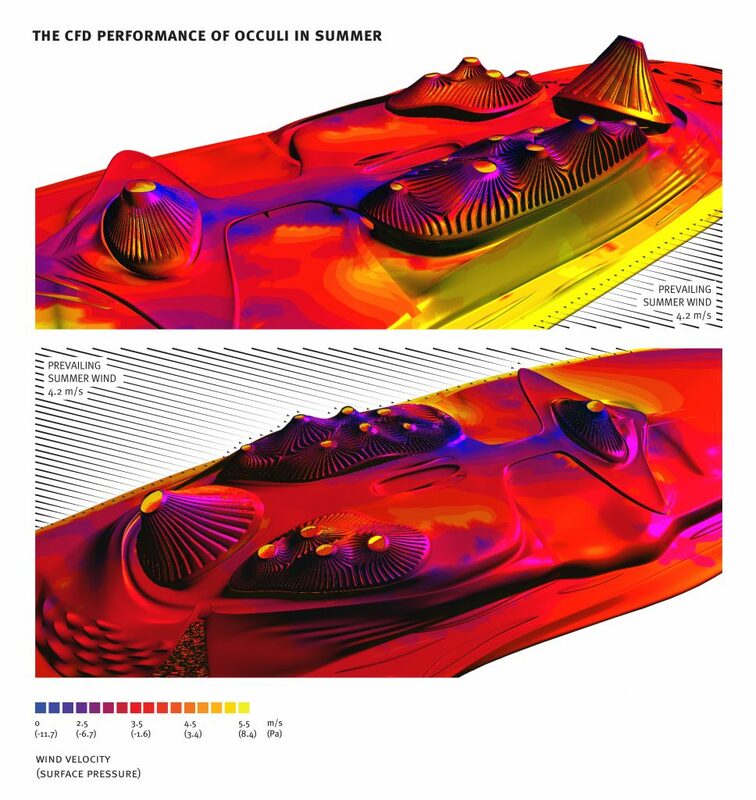 Shading profiles and physiological equivalent temperature (PET) calculations for different spots in the site. 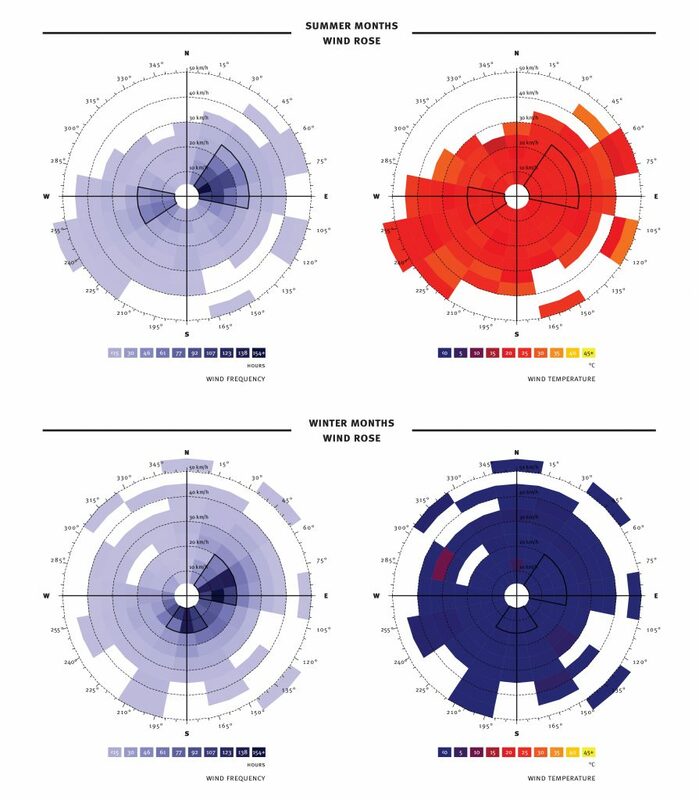 Wind roses for summer and winter months, showing frequency (hours) and air temperature (C). CFD simulations for each prevailing wind direction, to test the performance of wind chimneys.